Halloween is just around the corner and instead of a trick, today we have a treat for you: Five festive paper quilling projects that can be made up scary fast. 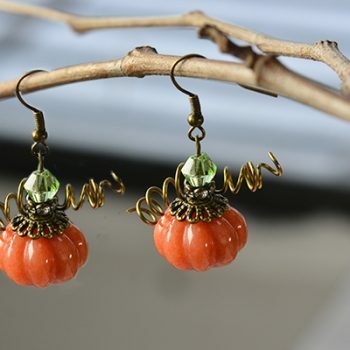 Make one pair of pumpkin earrings to wear yourself and another to share with your favorite trick-or-treater. Or quill a simple jack-o’-lantern that can never be smashed by the pesky devil down the street. 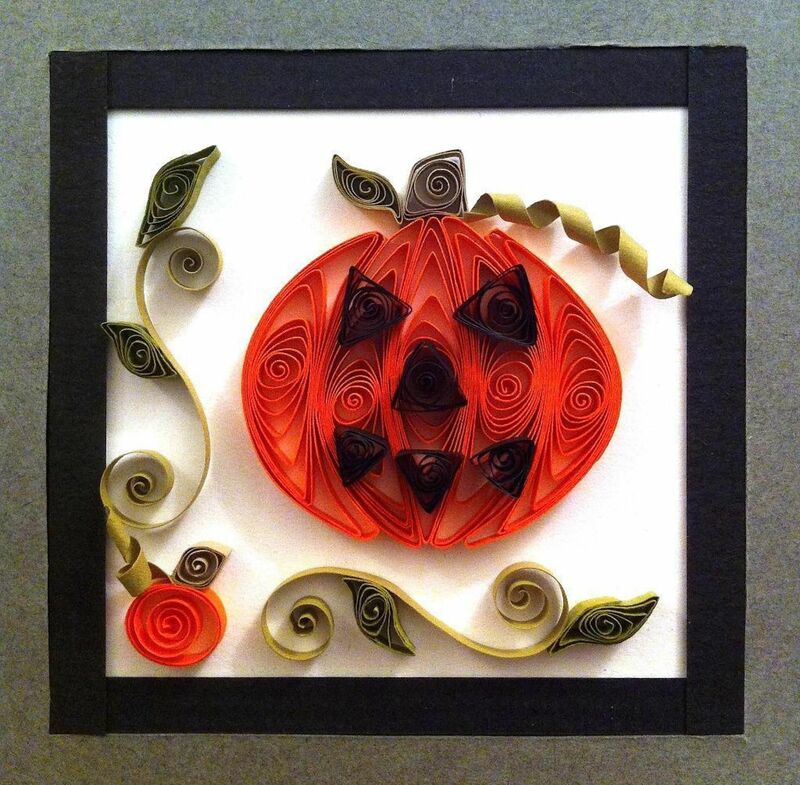 Whatever project thrills you into quilling, you are sure to delight all who cross your path this Halloween night! This first tutorial is way more treat than trick! 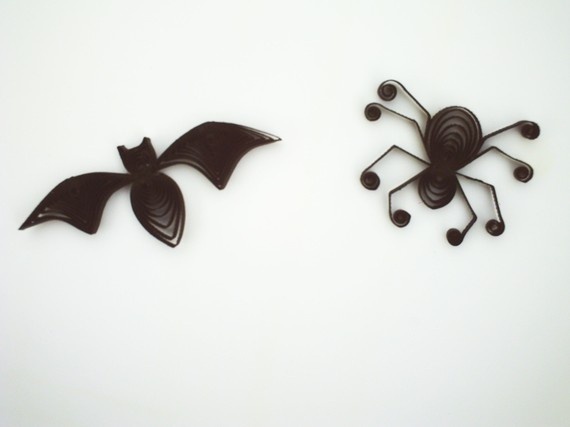 In fact, it is really two fantastic Halloween quilling projects rolled into one tidy bundle. Designed as a pair of super cute mismatched earrings, you can easily double up and have a pair to share. Both styles are made with just four strips of quilling paper, a quilling tool and glue. They’re simple enough for the beginning quiller to make — my 11-year-old daughter was easily able to follow the instructions on her own and make a set of candy corn earrings and bat pendant to match. If you really get rolling, you could pass these out this year instead of candy! You might just be more popular than the guy giving out king-size candy bars down the block. It doesn’t matter if this is your first time quilling or you have been quilling since you were trick-or-treating yourself — these cute earrings are easy and fun to make. 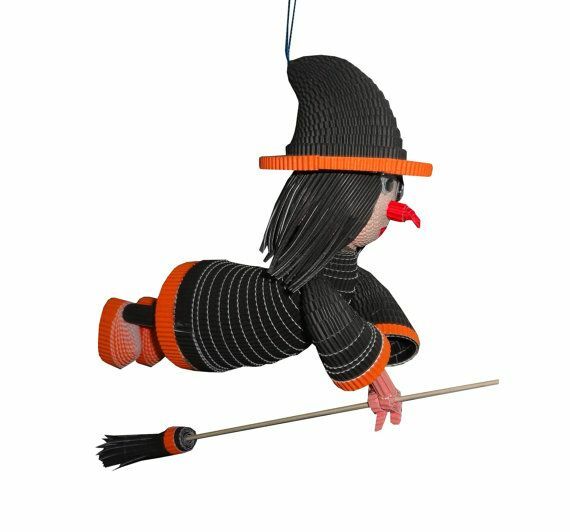 In fact, this would be a great project to make with your favorite wee ghostling after a trip to the pumpkin patch. This quilling sampler has a little something for everyone this Halloween. What a great way to expand your skills and possibly learn some new ones. Pick and choose a couple designs and quill up some boo-tiful thank you cards for all the host and hostesses of the costume parties you attend this October. The last project I have to share in celebration of the fun festivities that await at October’s end is a bit trickier than the rest, but will prove to be a real treat if you give them a roll. 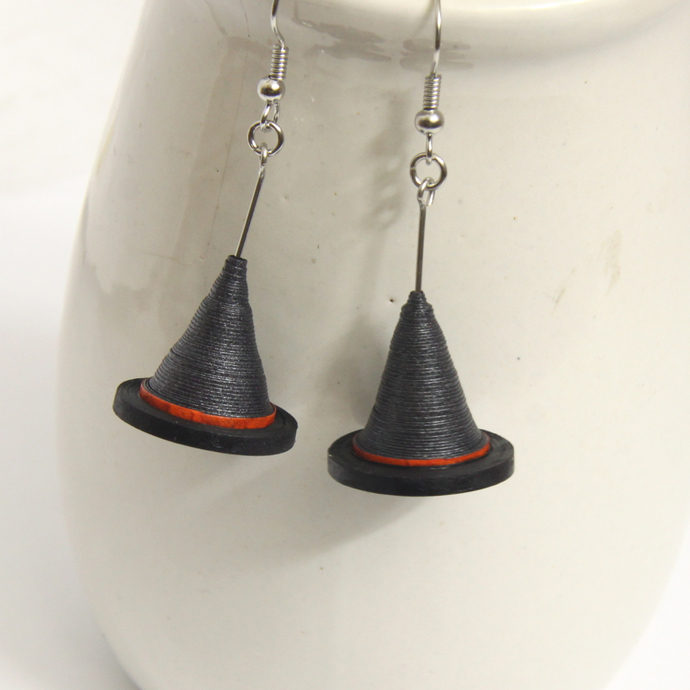 These darling and dangling pumpkin quilled earrings are quilled with strips of paper that are just 1/16″ wide. The quilling skills needed are basic, but you may find you need a bit more patience when working in miniature proportions. Multiple strips are quilled together to create a disk that will be later molded into each half of the pumpkin. Once the body is made, the real magic begins when you turn the tiniest bits of paper into a pumpkin top. After a few more dabs of glue, you’ll be ready to rest your eyes on the cutest little pumpkins that got away from the patch this Halloween. Now that your treat bag is filled to the brim with the sweetest Halloween quilling goodies around, it’s time to get those fingers rolling to the bone! 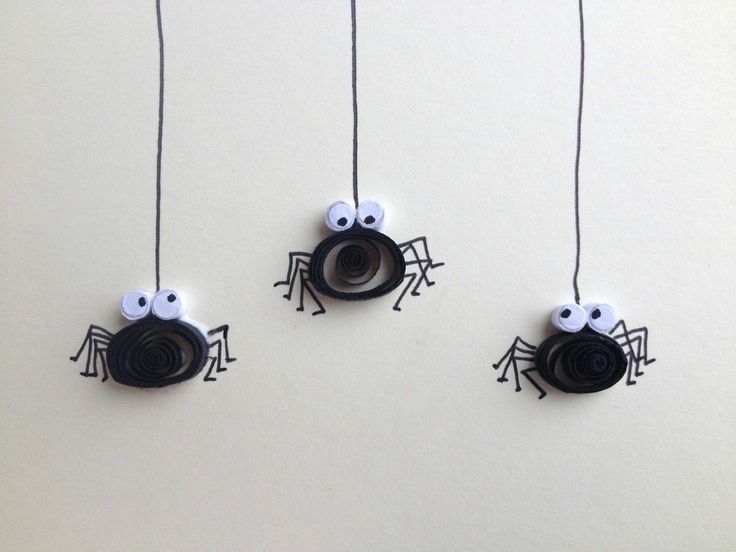 There is more than enough time this October to make a pair of quilled earrings or a spooky card!